Bollywood actor and celebrity Arshad Warsi has recently been in the news after spending time with Sanjay Dutt who was recently released from jail. The actor has also been in the news for welcoming two new members of his family. The first member is a black Labrador puppy known as Ziggy. 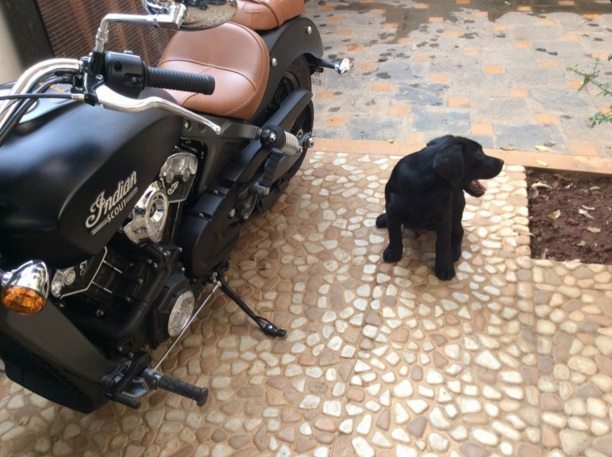 The second addition to his family would be the Indian Scout. The actor recently tweeted regarding the new additions to his family with the caption “Two new members in my life. Ziggy and Indian Scout”. The cruiser motorcycle comes with a price tag of Rs. 12.07 lakh (Ex-Showroom, Delhi). The Indian Scout acquired by Arshad is draped in a shade of thunder black and doesn’t seem to feature any accessories as yet. Powering this beast is a 1133 cc liquid cooled V-Twin engine that produces a power output of 100 hp and a peak torque of 97.7 Nm. Transmission duties are taken care of by a 6 speed transmission while the dry weight of the bike stands at 244 kg. Dimension wise, the Scout measures 2311 mm in length, 880 mm in width, 1207 mm in height and has a wheelbase of 1562 mm. The ground clearance measures 135 mm while the seat height measures 635 mm. 2 new members in my family. 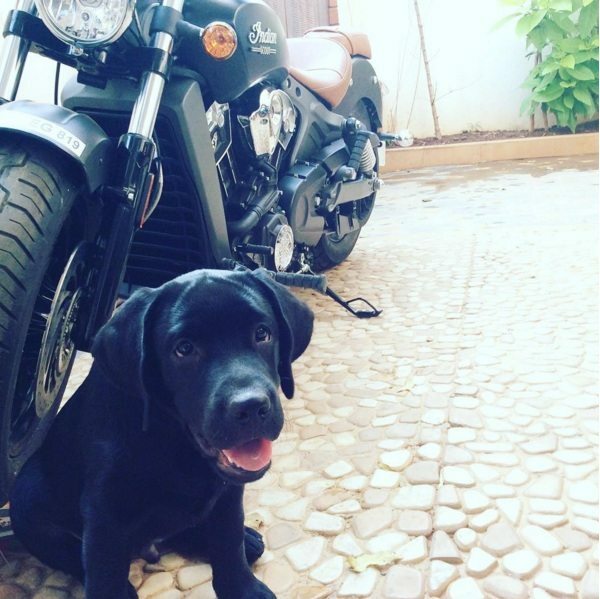 Ziggy & my bike, Indian Scout.